In Common Interest Communities 101, we discussed the basics of home ownership in common interest communities: condominiums, planned communities or PUDs, and cooperatives. This article will tackle some of the basics about the Association, the legal governing documents and the monthly maintenance fees. By purchasing into a common interest community, the unit owner becomes a member of the Association which may also be called a Homeowner’s Association, a Community Association or a Condominium Association. In a cooperative, they’re simply referred to as shareholders. They all mean basically the same thing: each member of the Association or each shareholder has a say in the overall running of the community similar to that of a citizen of a town or city. 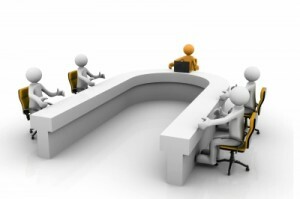 Meetings are typically held annually or bi-annually or more often as specified or required. The Association is governed by a Board of Directors that is comprised of officers elected by the members of the Association. For the most part, members of the Board are volunteers although some states allow for them to be paid for their service to the community. Among other duties, the Board of Directors is responsible for the collection of the monthly membership fees, setting up annual budgets, making sure that the bills are paid, working to resolve disputes among members of the Association and the creating and enforcing of the rules and by-laws. The Board can make decisions on behalf of the HOA within certain limitations. Large decisions cannot be made by the Board without holding a vote of the unit owners. What constitutes a “large decision” is spelled out in the legal documents. In all three common interest communities, the unit owners and shareholders are required to pay monthly maintenance fees. These fees fund the budget that pays for the maintenance and insurance in the community or cooperative. They can go by many names including common charges; association dues; condo dues; and monthly maintenance fees. These fees collectively pay for all of the Association’s expenses including hazard and liability insurances, landscaping and snow removal, capital improvements (such as for new roofs or paving) and to fund a reserve account for future capital improvements. In all three common interest communities noted above, there are legal governing documents that lay out the rules for the community. They go by different names in different states and some examples are Declaration; By-laws; Rules and Regulations; Master Deed; Deed in Trust; Articles of Organization/Incorporation; and Covenants, Conditions and Restrictions (CC&Rs). Establish the Homeowner’s Association as a legal entity (Articles of Organization or Incorporation). Some states, such as Massachusetts and Maryland, do not require this. They set up the unit boundaries, restrictions on the use of the units and common elements, restrictions on the leasing and conveyance of the units, minimum insurance requirements and many other aspects of the community. The documents also establish the Association and the Board of Directors, as well as outline the authority or powers of the members of the Board. In addition, they can outline other rules for the Association. For example, my parents used to own in a planned community in Florida. The rules required that they keep their lawn mowed at a height within a certain range. If they did not, the Association’s landscaping crew would mow the lawn for them and send them a bill. They were also not allowed to have more than one car in the driveway for an extended period of time (they had a two-car garage). Please note that the information provided above is written as generally as possible. 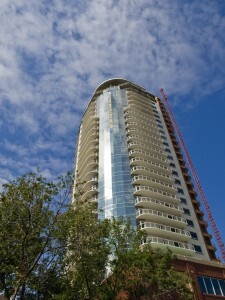 Working with condominiums all over the country, I have seen first-hand that laws can vary greatly from state to state. Not only do they have different names for the legal governing documents, they allow different forms of the HOA. However, all states have common interest communities and the majority of what is written applies to all of them.